STUNNING ONE OWNER 2017 FUSION WITH A CLEAN CARFAX, THIS KNOCK OUT OF A CAR IS SURELY TO CATCH YOUR EYE! FEATURES BURGUNDY VELVET PAINT, 18" ALUMINUM WHEELS, HEATED SEATS, LUXURY PACKAGE, SE TECH/SYNC 3 PACKAGE, REAR CAMERA, REMOTE ENTRY, POWER EVERYTHING, AND THE GOVERNMENT FIVE STAR SAFETY RATING. 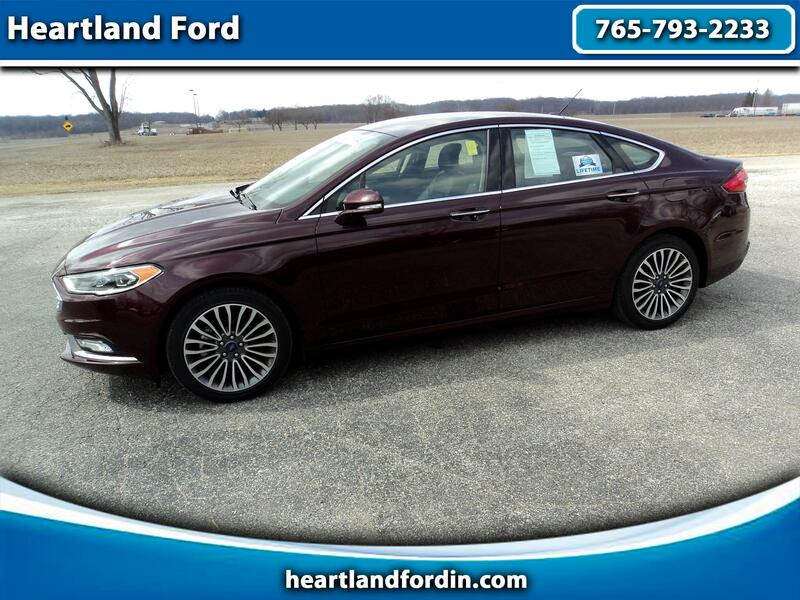 ALSO FEATURES OUR EXCLUSIVE HEARTLAND FORD LIMITED LIFETIME POWERTRAIN WARRANTY FOR YOUR PEACE OF MIND. STOP IN TODAY AND FEAST YOUR EYES ON THIS BEAUTIFUL FUSION!